HOW to practice dobro or weissenborn? Knowing WHAT to practice is the first step that we have discussed in this article. But this alone is not enough. You absolutely need to learn HOW to practice. If you followed the guidelines I have talked about here, you have set up your main goal and short-term goals. Now you need some kind of organization to make it happen. You can’t tackle everything at once. It just won’t work. WHAT YOU NEED IS A PRACTICE ROUTINE. A practice routine is basically a list of things you will work on repeatedly for the next while. But the first thing you have to consider before even writing down your practice routine is how much time you can devote to practice each day. In my opinion, you should practice each day for at least 5 days a week. 30 minutes to 1 hour a day is a fantastic amount of time that will lead to great progress if you stick to it. But even 10 minutes each day will lead to better results than say, 1 hour twice a week. Why is this so? because the key is to be consistent. Be consistent. We need repetition to put things in our heads (and muscles) and make things happen. That’s just the way it works. All the great famous guitar or dobro players were just like you and me when they started out: they could not play anything but they spent hours and hours practicing again and again in their room alone until they reached the level they have now. So let’s get back to our practice routine. Ideally, a practice routine should include several subjects of study: theory, technique, transcribing / repertoire, creativity (improvisation, writing licks, having some fun!!). Of course, there will be times when you need to focus on a specific subject (transcribing for example) but you should at least try to incorporate in your practice routine 2 or 3 of the areas of study mentionned above. Now, a practice routine is not set in stone. It will (and must) change and evolve as you progress. That’s why you should also put a date on your goals because it gives you a greater motivation and a sense of accomplishment when you finish them. But remember, this is a schedule not a deadline so you could either finish them sooner or later than planned, it doesn’t matter as long as you know where you’re going! When you feel like you’ve accomplished the tasks of your practice routine then it’s time to change it and add new challenging stuff to it. This new practice routine should reflect your evolution thus include harder stuff than the previous things you have worked on so far! 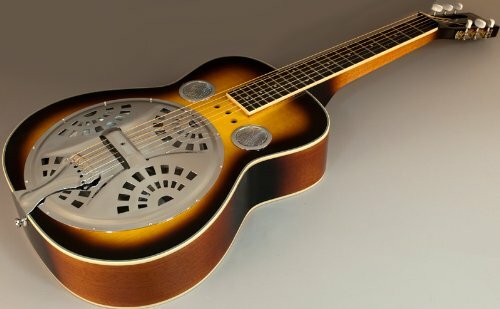 I hope this article helped you learn HOW to practice dobro or weissenborn or any instrument. Once your routine is set up and you’re good to go, you might want to read this article where i share a few tips to help you get the most out of your practice time.